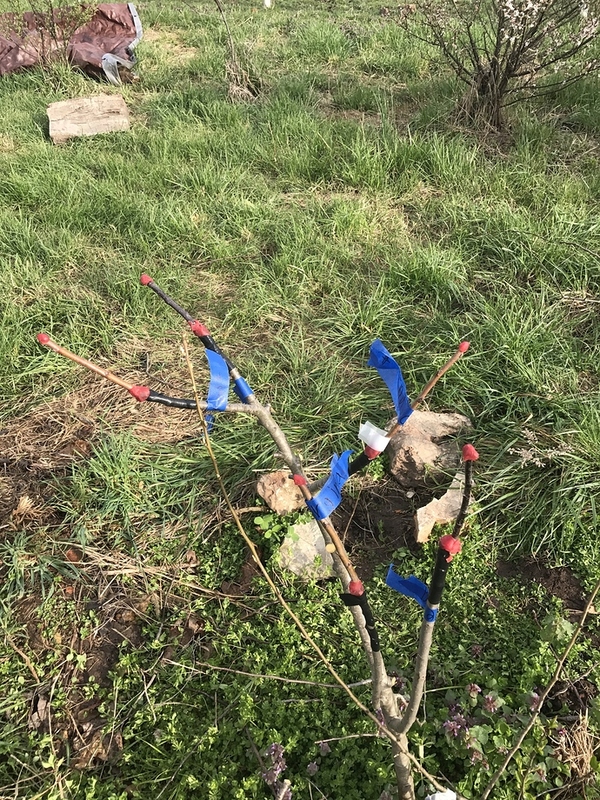 Here’s William’s Pride…my second apple tree has William’s Pride already. I decided I don’t need a lot of Yellow Transparent and decided to graft one beach to WP. 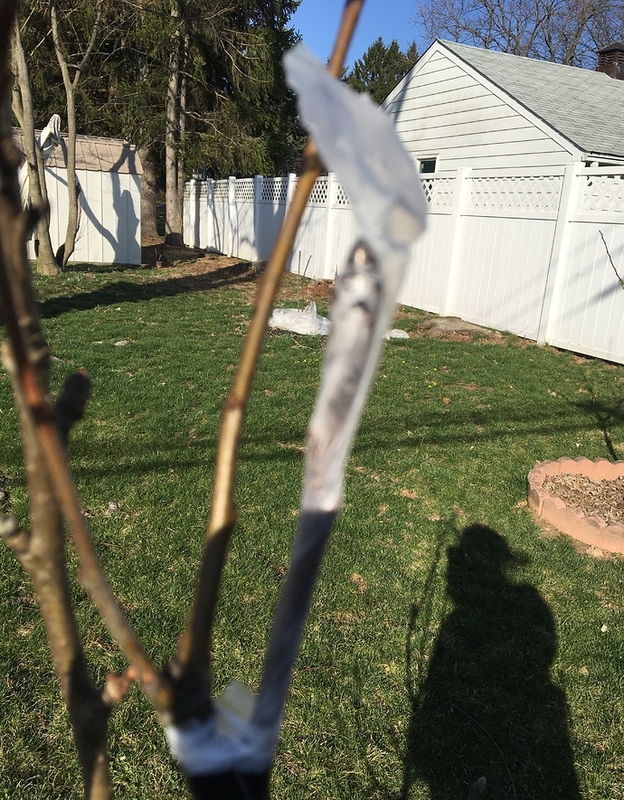 Also did one pear graft, Abbe Fetel. All 3 grafts are splice. Very hard to do. I normally do cleft but that didn’t work for these. So we’ll see how they do. I also got 2 cuts on my hands. I told myself that means I got a good grafting knife. Then I decided to call it a day since it was so windy and my stuff kept flying around. Yesssss! I love a good spring grafting thread. 'Tis the season. Advantage not really but I’ve had very good results with Alan’s favorite, the simple splice. W&T has also worked great but is more difficult and probably no better. 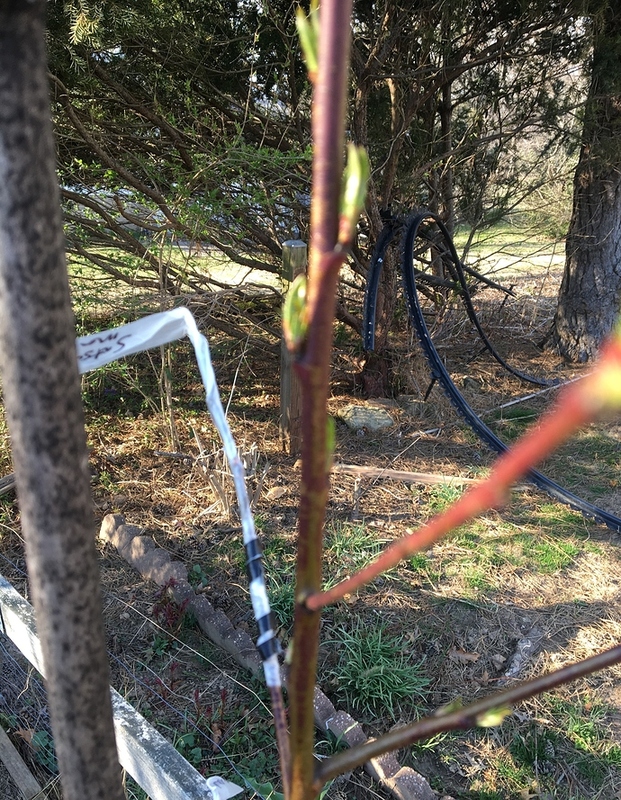 I’m looking at 100% right now on ~15 splice grafts this spring. The cleft does have the advantage of working when stock is much bigger than scion. I like it because it’s self seating: meaning if I bang it, bump it, nudge it, or are otherwise misaligned, it just grows crooked or I only have to shove it down and it doesn’t fail. I also, as others have said, use it for top working trunks. I have had good enough luck with apples with cleft grafts to not bother with anything else. Splice is probably equally easy but I honestly find wrapping field grafts kind of a hassle so I think cleft is easier to hold and wrap at the same time. 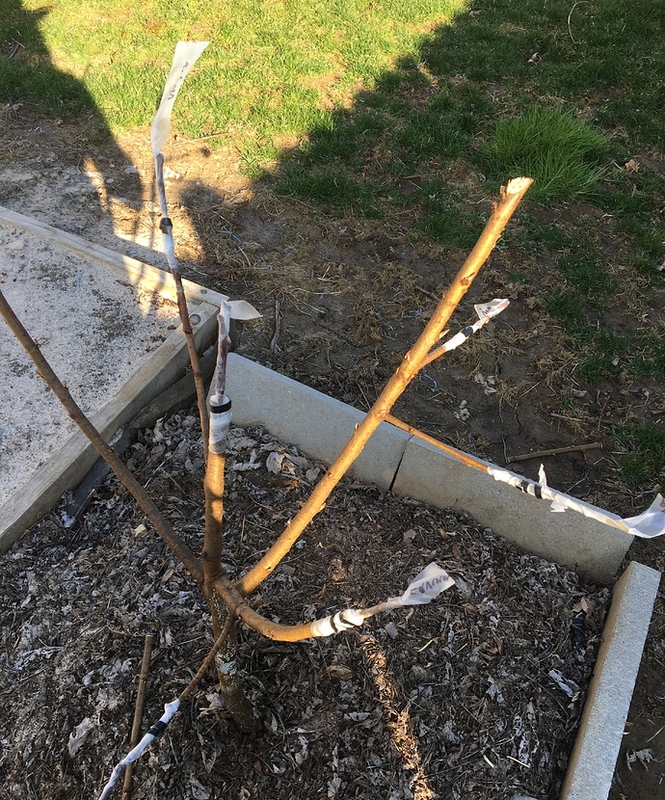 Mid-April I will know how my first batch of grafting is doing, I will show my grafting project around then. 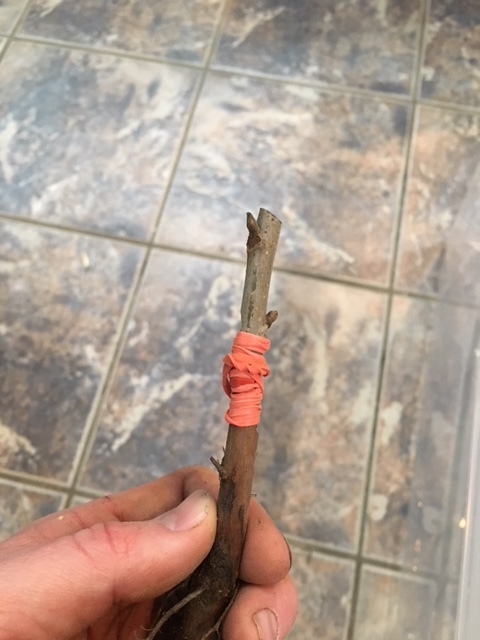 Yet for now I have a grafting question, can grafting on to a sucker growing from a root stock go well? 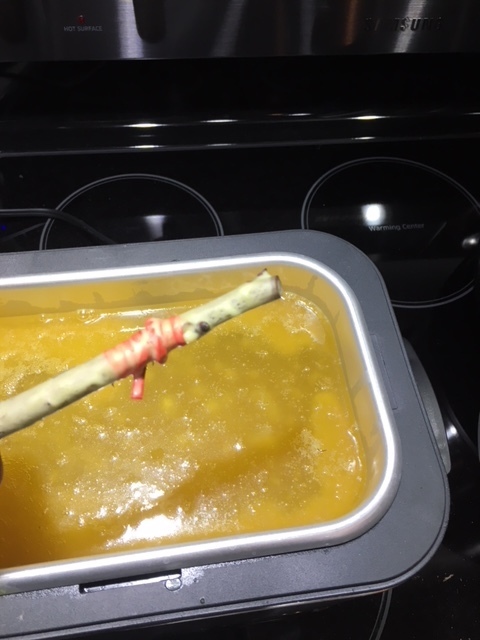 can grafting on to a sucker growing from a root stock go well? I’m assuming you can separate the sucker from the rootstock and replant it where it doesn’t have to compete, or you can remove the (dead?) tree that it is to replace. Thanks Mark. Those are good reads. 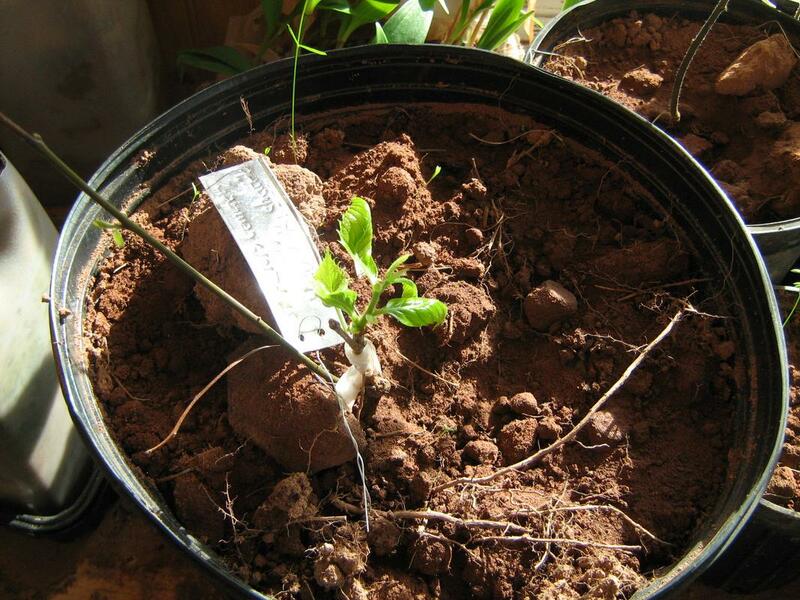 I did some pecan bench grafts on Sunday, hopefully a few of them take. Nice cut on that W&T. It should heal nicely! Agree with @Tony. Your W&T is a beauty. I could not do it without cutting myself. 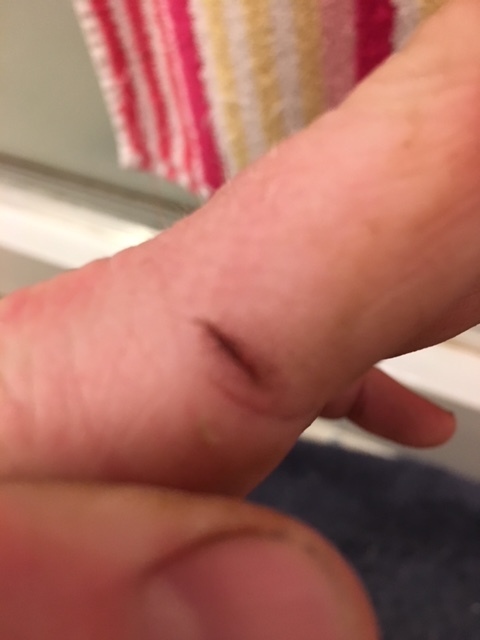 I didn’t even realize I cut myself until I was cleaning up. I guess that means my knife is sharp enough! They said “practice makes perfect” but I am not sure I would have many fingers left with whip and tongue. My fine motor skills are not that fine. Your graft looks like a textbook’s work. Those little cuts on your hand were worth it Hope the graft takes. 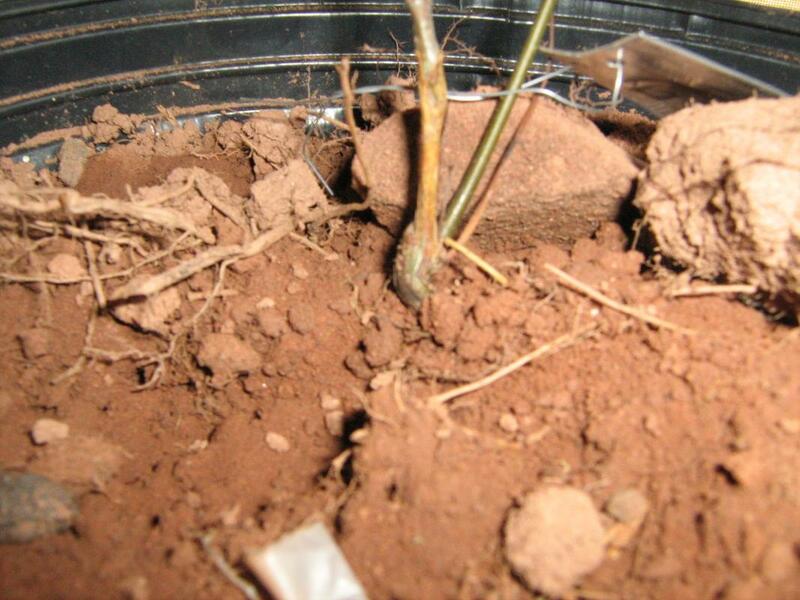 The cut downward on the scion is fine for me its the cut up on the rootstock i watch out for when doing whip grafts. I do mostly field grafts as my preference. 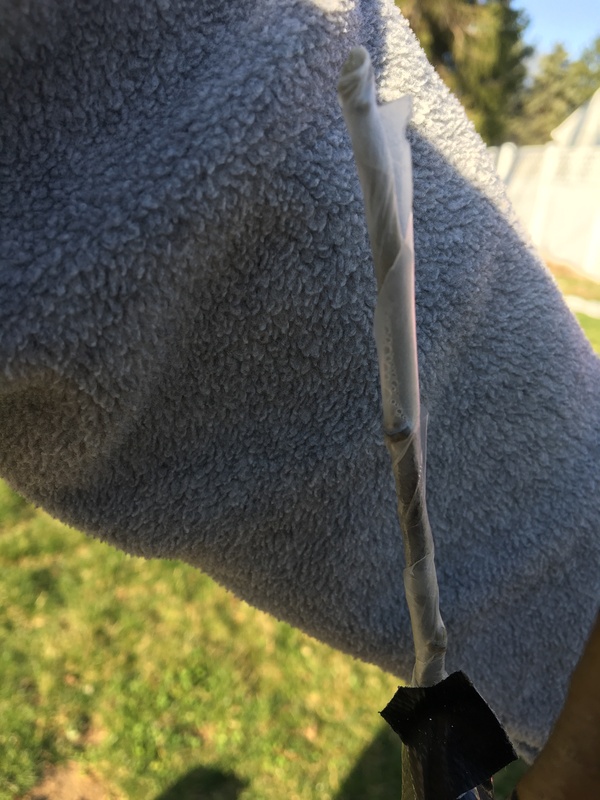 I tried my hand at grafting this year. 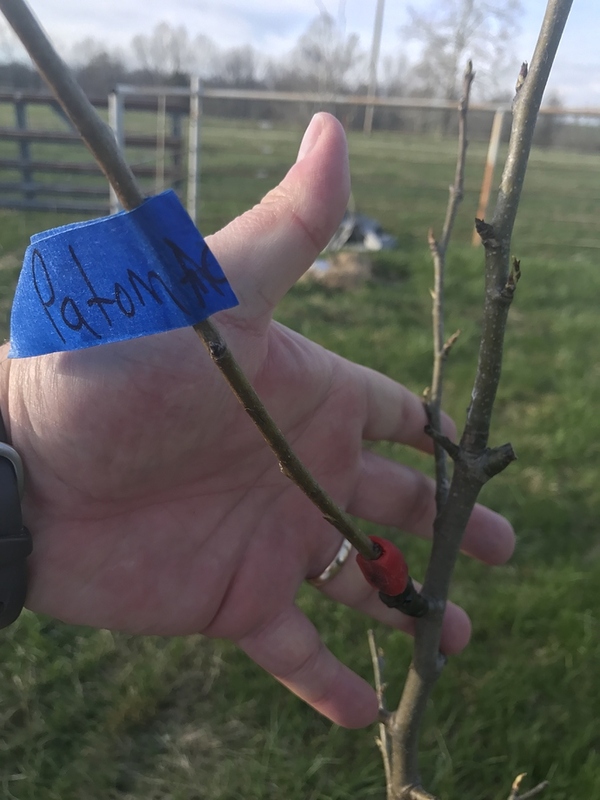 So far Ive just grafted onto some of my established chickasaw plums with Santa Rosa, Ozark Premier, Spring Satin and McKibbon and Dot Piazza improved chickasaws. Looks like some of each have taken. 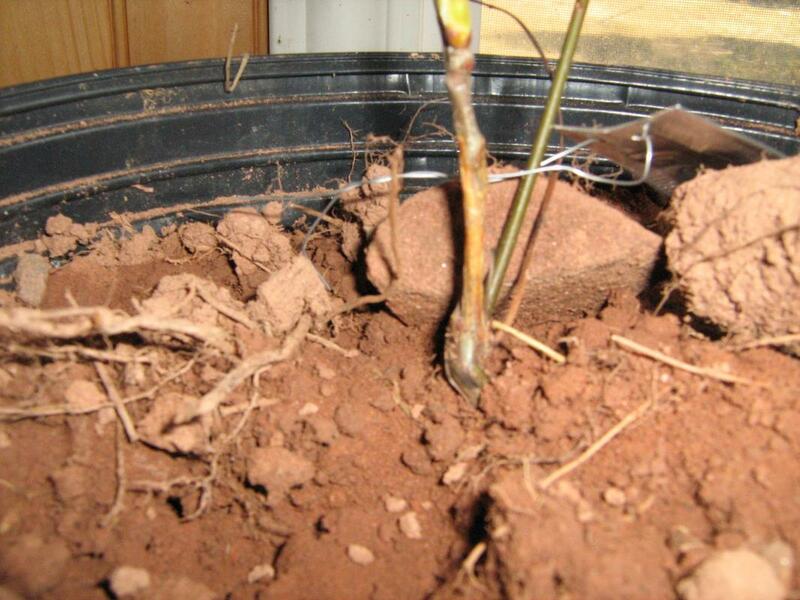 I’ll grafting a few Asian persimmons to American rootstock after the rootstock wakes up. 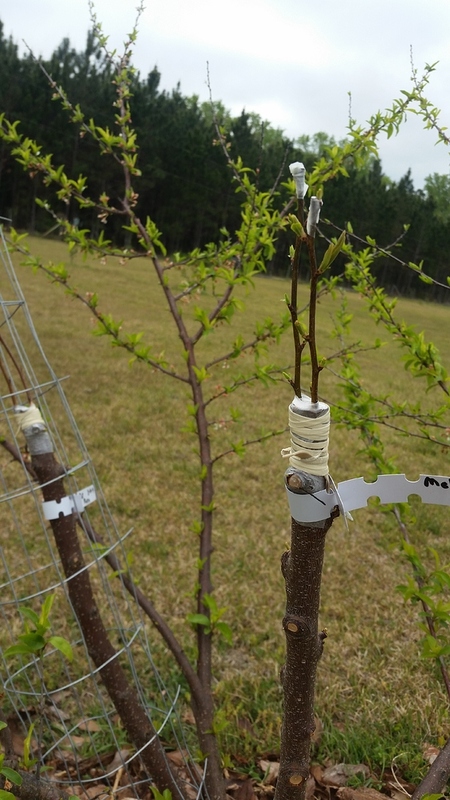 Yes, plum is a good choice to start grafting. It will encourage you to try more. I did not mean root sucker, I meant the ones coming from the trunk of the root stock, the ones that people keep cutting off on all their root stock, I was thinking rather than grafting in to a trunk, there is already a very nicely attached growth. Sort of like what people do with a cleft graft using a branch. I meant the ones coming from the trunk of the root stock, the ones that people keep cutting off on all their root stock, I was thinking rather than grafting in to a trunk, there is already a very nicely attached growth. 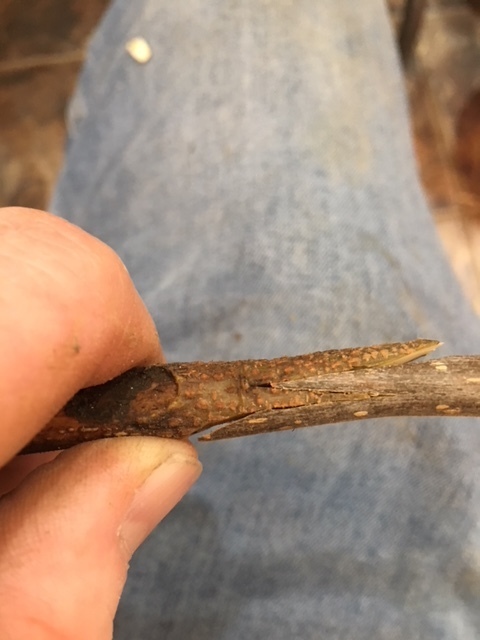 If I understand you correctly you want to graft to a shoot below the graft union, presumably a variety that is different from the variety above the graft union. And yes, you can do that, but I’m not sure why. 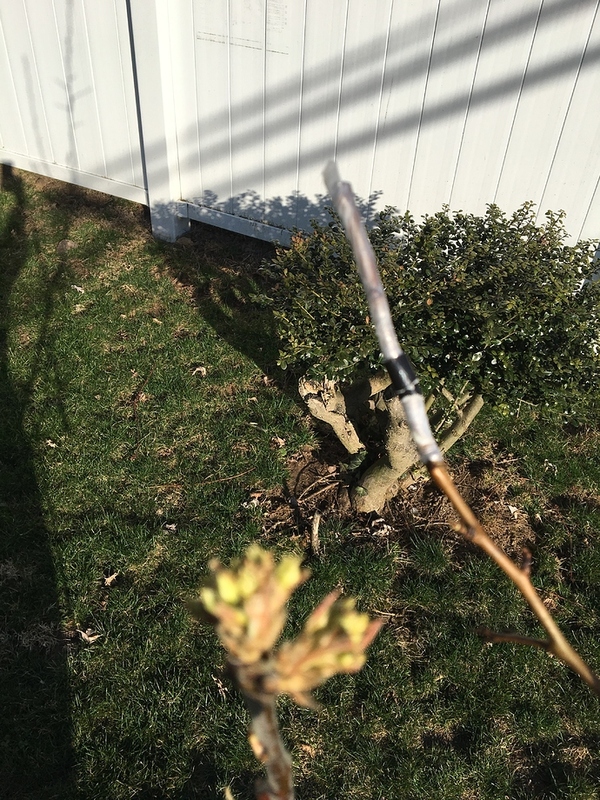 If you need to replace the original grafted variety altogether that is a good way to do it, but if you are trying to have two trees, as it were, on one root than I’m probably agin it, doable though it may be. I think it creates a conflict between the two trees and they’ll both suffer. I did my peach grafting today. 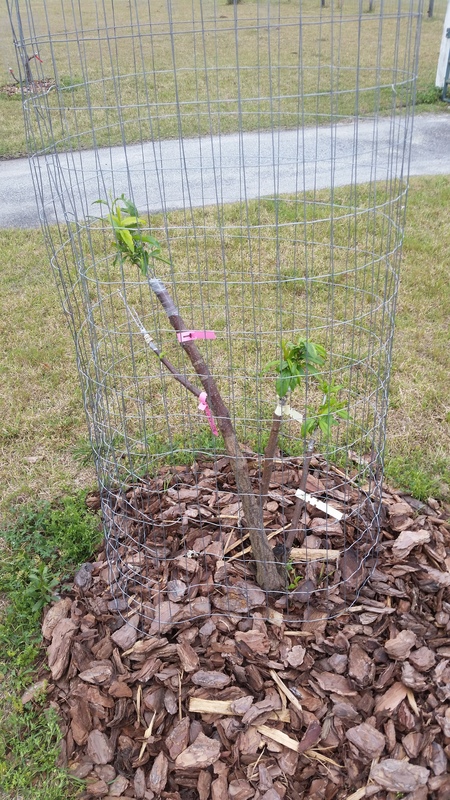 I had no peach to graft but I grafted plum to peach seedling. This is the one I transplanted last November and pruned heavily. It came out of winter like a champ. I’m afraid I’m in the great white north, grin. Any grafts I have are porch grafts. 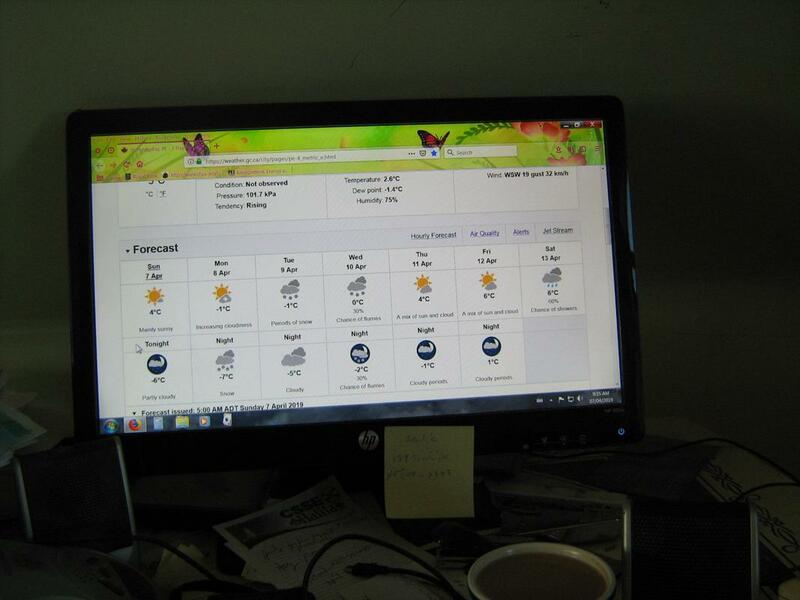 The weather screen shot is normal weather for here. I use pretty small scions, so it’s a cleft graft for me. Bifocals figure into it too, grin. 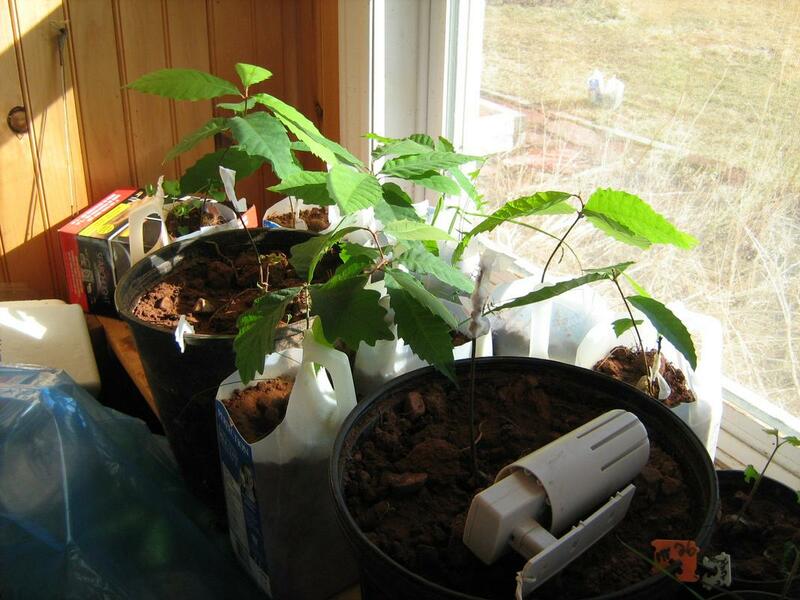 These are chestnuts, and seedlings. 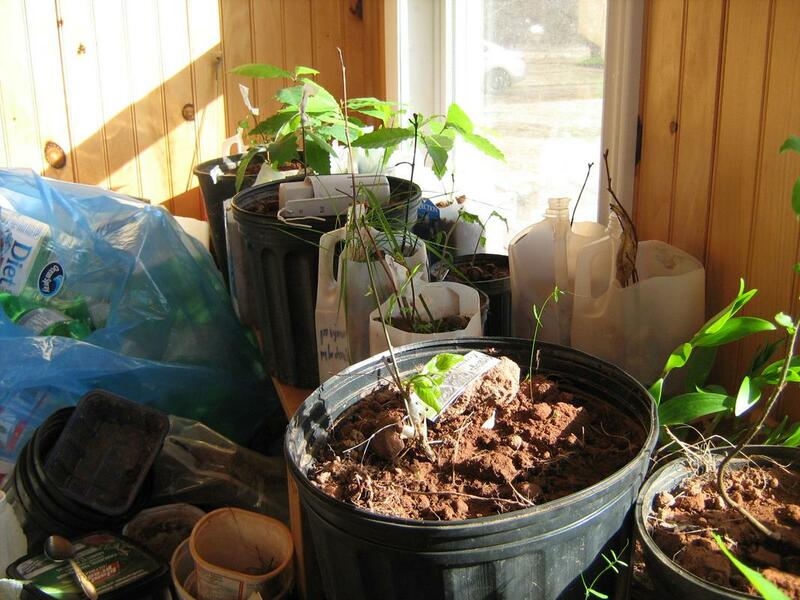 We got down to plus 2 in the porch last week, so the leaves at early expansion are all cupped. They’re Ok, and will grow out of it.